Today’s synergy is tomorrow’s energy. 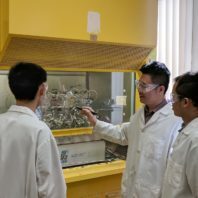 That is one principle underlying Washington State University’s collaborative, multidisciplinary work in biofuels – work that could pave the way toward sustainable, biologically based jet fuel for the aerospace industry in the Evergreen State and around the world. WSU is forging a course to that future through its leadership of the Northwest Advanced Renewables Alliance, a broad consortium of scientific, industrial and educational interests from throughout the Northwest. The team includes more than 30 partners, including Alaska Airlines, Weyerhaeuser, Gevo, the USDA Forest Service and the University of Washington. With its slogan of “Wood to Wing,” and with support from the U.S. Department of Agriculture, the five-year NARA project seeks to facilitate development of a sustainable “biojet” fuel industry using forest residuals that would typically be be burned in a pile. That means taking a comprehensive look at building a supply chain for aviation biofuel with the goal of increasing efficiency in everything from forestry operations to conversion processes. Washington does not currently produce aviation biofuels. NARA wants to change that. Ralph Cavalieri, associate vice president for alternative energy at WSU, says the university took a leadership role in NARA because its long land-grant tradition in agricultural research and plant science, together with its expertise in technologies to convert plant matter into fuel, provide a natural framework for addressing the industry’s future fuel needs. Four students in the Gene and Linda Voiland School of Chemical Engineering and Bioengineering will have the opportunity to participate in undergraduate research, thanks to support from the DeVlieg Foundation and the Weyerhaeuser Company. As part of the scholarship awards, the students will work with faculty mentors throughout the year and will then present their work at conferences and/or at WSU’s Showcase for Undergraduate Research and Creative Activities (SURCA) in April. The students received support to conduct research in the area of alternative fuels and renewable energy. Weyerhaeuser is a partner in the Northwest Advanced Renewables Alliance (NARA) and is supporting research related to biomass conversion to useable fuel. Using a variety of feedstocks from construction waste to forest residues, NARA is working to create a sustainable industry in aviation biofuels and co-products. The DeVlieg Foundation awards also support undergraduate research in renewable energy. Junior Zoey Henson will work with Professor Grant Norton, dean of the Honors College. Using a novel experimental method, she will assess the success of catalytic reactions within a solid oxide fuel cell. 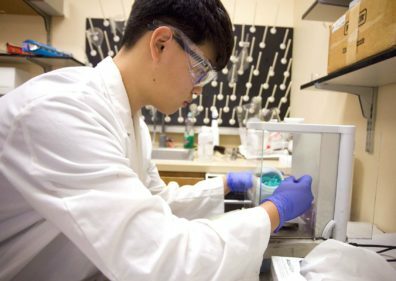 The researchers hope the new technique leads to more successful reactions, a better fuel cell, and, eventually, better clean energy alternatives. Jake Gray, senior, is working with Professor Su Ha on methods for improving a catalytic reaction without increasing reactor temperatures. In particular, Gray will be looking at the effects of applying an electric field to a nickel catalyst during the reformation of methane, an important process which produces approximately 95 percent of the world’s hydrogen. In practical applications, this electrical field could be supplied using renewable energy sources. Because process heating and cooling are extremely energy-expensive, replacing this requirement with a cheaper, cleaner alternative will remove hurdles facing the sustainability of hydrogen fuel cells. Junior Felix Nwanne will work with Professor Xiao Zhang at WSU Tri Cities. 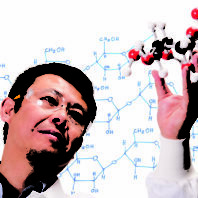 Nwanne is working with Zhang on research relating to biomass conversion to useable fuel and energy resources, including bio-energy and bio-products. 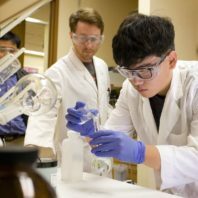 Gunnar Hoff, a senior, is working with Professor Su Ha to try new techniques to improve the power density of an enzymatic biofuel cell that uses glucose as a fuel source. Future energy supplies will depend on the design of green, sustainable, and efficient systems for the conversion of clean and cheap energy sources. Enzymatic biofuel cells represent one approach to clean energy production. Instead of expensive metal catalysts, biofuel cells can use renewable enzymes as the catalysts.